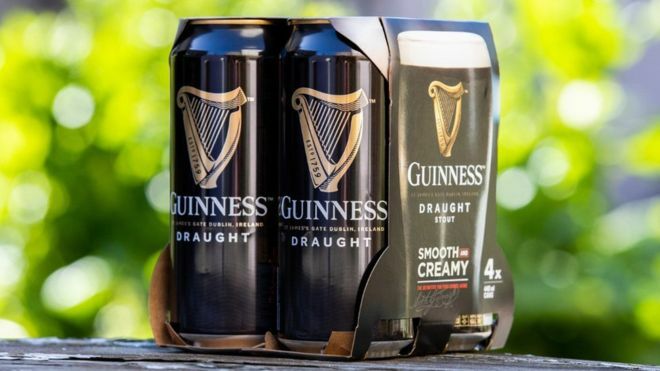 Drinks giant Diageo has announced the removal of plastic from multi-packs of its Irish stout brand Guinness. Plastic ring carriers and shrink wrap will be also removed from packs of Harp, Rockshore and Smithwick’s beers. The BBC says the packaging will be phased in with multi-can packs sold in “100% recyclable and biodegradable cardboard” in Ireland from August this year. The new packaging will then be used in the UK and globally next year. The change is part of a £16m initiative by Diageo, one of several to go green in the wake of concerns about plastic pollution. Last year, rival brewer Carlsberg switched to using a glue instead of plastic to hold together its cans. And more recently, Nestle got rid of plastic straws from its products and is using paper ones instead. Previous articleHistory In Pics – Cough Syrup from 100 years ago! The spinning wheel was a symbol of India’s Independence movement. Gandhi was often seen in photos like these.